Our licensed appliance electricians are ready to repair your Grand Praire pool light. A non-licensed technician should NOT do your work – for the safety of your family. Give us a call today! If your pool was built prior to 1968, there likely exists some sub-standard electrical design for your underwater lighting and filter pump. It was 1968 when the National Electrical Code (NEC) finally decided to include swimming pools in their standards and regulations (article 680). You may wish to update this at some point for safety reasons. What should you do if your Pool Light doesn’t turn on? Be sure to check all breakers, switches, fuses and Ground Fault Circuit Interrupter (GFCI) outlets. Often, a GFCI outlet is wired into the UW light circuit. If the red GFCI ‘button’ has popped out, the power will NOT continue on towards the light. Ensure that all of these switches are in the “ON” position. If you find that a fuse, GFCI, or breaker continues to trip, and the light will not come on, you should call for a licensed service technician to determine where this problem is. If all switches are on, but there is no light, we would remove the fixture from the socket and inspect the bulb for continuity (Of course, we have turned all switches / breakers OFF at this point). Burnt bulbs should be replaced with identical voltage bulbs, of either 12 volts or 120 volts. 12 volt bulbs are 300 watts (Note: 120 volt bulbs are available in either 300 or 500 watts). 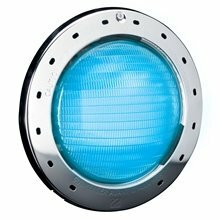 These are medium based, reflective flood lamps of special design. NOTE: Do not use your garden variety flood lamp bulb. 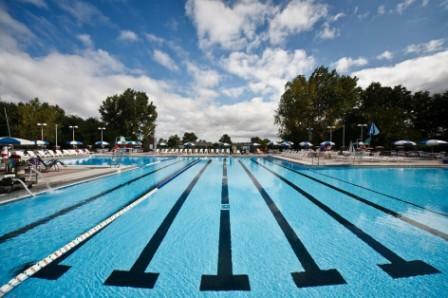 If you need Grand Praire Commercial Pool Service, then call us today! Commercial facilities are our specialty. These facilities have a lot to worry about in today’s fast world. Not only are they responsible for safety, supplies, maintenance and other employees, but often, they are responsible for coordinating several facilities. Our Grand Praire commercial pool service and commercial pool repair technicians’ are focused on ensuring your facilities manager is successful. The need for commercial pool repair in Grand Praire, TX occurs when you least expect it. It’s understandable that things happen, and the commercial pool may be neglected for a period of time. However, by conducting proactive commercial pool repair and maintenance, and being proactive of four basic areas of commercial pool service concerns, Grand Praire commercial pool service managers can avoid significant maintenance issues, that cost time, money and create unhappy customers. Our experienced Grand Praire CPO (Certified Pool Operator) technicians are ready to assist with your commercial pool repair needs! What’s going on in your city? Copyright © 2017 Texan Blue pool Service. All rights reserved.